Nithin is a former trader and crypto technologist. He holds a degree in Engineering from The Wright State University in Ohio as well as a Masters in Financial Mathematics from the University of Chicago. 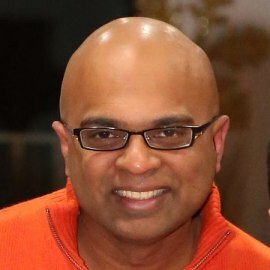 Prior to joining Arcadia, Nithin was the founder and President of Chance River Technology, an IT firm based in Stamford, CT.   Nithin held a series 7, 3 and 63, while at UBS where he worked as a market maker in exotic equity derivatives. Prior to trading, Nithin built trading systems at UBS, RBS and Bank of America. Alongside studying digital assets, Nithin plays in the World Series of Poker and is an avid squash player. He lives in Connecticut with his wife and five children.